GWR fusee bracket clock with silver engraved dial marked GWR EVANS & SONS BIRMINGHAM. Oak case with ebony stringing and GWR numberplate 2390 screwed to the inside of the back door. The chain driven fusee movement has A shaped plates with cut out to the bottom and screwed pillars. The clock also has a London style pendulum. The GWR clock winding records from Swindon Works show this as being in Mr Turners office and was wound every Thursday morning. 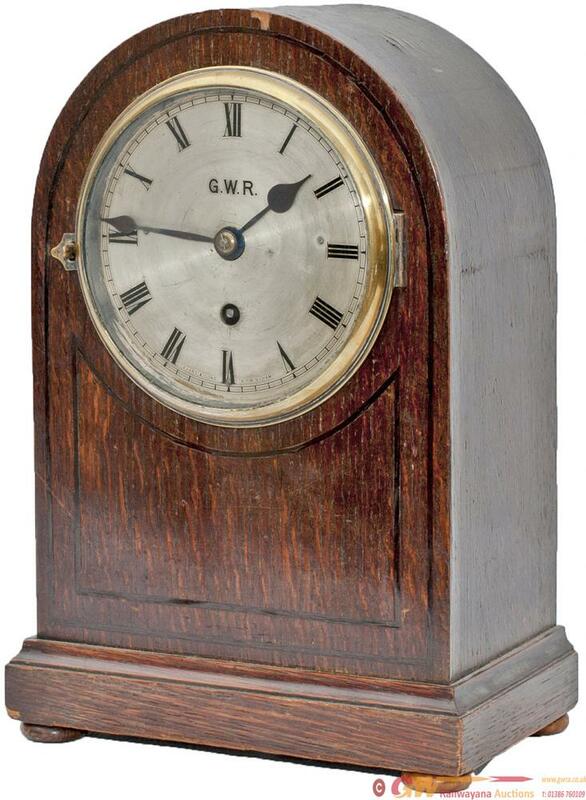 A rare GWR timepiece in good working condition complete with pendulum and key. Case measures 13.5in tall x 9in wide x 6in deep and the dial is 6in diameter.